Maharashtra Pharmacy Admission 2018 shall be granted as per the score for MHT-CET 2018. Eligible Candidates can apply for the admission into First Year of Four Year Full Time Under Graduate Course in Pharmacy (B. Pharmacy) for the academic year 2018-19. Read the complete details about the application form, eligibility and CAP Round process for Maharashtra Pharmacy Admission 2018 on this page. Latest: Revised Provisional Allotment has been published, check from below. 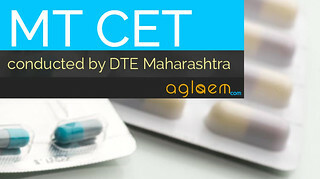 Candidates seeking admission to the first year of Pharmacy and Direct Second year of Pharmacy will be required to appear for Maharashtra Technical Common Entrance Test (MHT CET) conducted by Director, Technical Education, Mumbai (DTE). The Schedule for submission & Confirmation of Online Application and display of Merit Lists for Maharashtra/ All India/OCI/PIO, Children of Indian workers in Gulf countries, Foreign National candidates is given below. 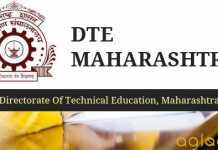 DTE Maharashtra 2018 has released the CAP round allotment list of Maharashtra Pharmacy Admission 2018 on the official website. Candidates can check the allotment list through the link which is provided below. Click here to check the Revised Provisional Allotment. Click here to check Provisional Allotment Status of Additional Round. Click Here to check the CAP 1 Institute wise allotment. Passed HSC or its equivalent examination with Physics and Chemistry as compulsory subjects along with one of the Mathematics or Biology and obtained at least 50% marks (at least 45% marks in case of candidates of Backward class categories and Persons with Disability belonging only to Maharashtra State) in the above subjects taken together. should have appeared in all the subjects and should obtain non zero score in CET conducted by the Competent Authority. should obtain non zero positive score in NEET or the candidate should have appeared in all the subjects in CET and should obtain non zero score in CET conducted by the Competent Authority. However, preference shall be given to the candidate obtaining non zero positive score in NEET over the candidates who obtained non zero score in CET. These seats will be allotted by the Competent Authority as per inter-se merit. For this purpose the Competent Authority shall invite applications, prepare a separate merit list for this category by following the same criteria as for Maharashtra State Candidature Candidates. In the event of non-availability of students in this category the same shall not be given to any other category of applicants. The Seat Acceptance Fee shall be Rs. 5,000/- for Candidates of General Category, VJ/DT, NT, SBC/OBC Category and Rs. 1,000/- for SC, ST Category Candidates. The candidate has to pay the Seat Acceptance Fee during first reporting only. The seat acceptance fee paid by the candidate shall be forfeited if the Candidate fails to report to the institute after reporting to the ARC, as per schedule. Category wise Provisional Seat Distribution for CAP Additionakl round is as follows. For more detail of Maharashtra Pharmacy Admission 2018 – Download Information Brochure. There has been no official date for registrations, but it is expected to begin within few days.